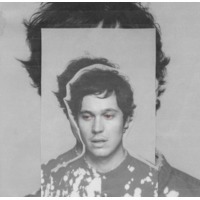 Washed Out is the stage name of musician Ernest Greene. In June 2009, Greene moved back home to the rural town of Perry, Georgia and started producing songs in his bedroom studio. He soon won the favor of a number of influential music bloggers after they found his music on his MySpace page. His style has been identified with the chillwave movement. He has identified hip hop as influencing the way he writes songs.The first two Washed Out EPs were released in August and September 2009. Washed Out made his debut New York City performance (his second live show ever) at Santos Party House. He has since performed at the 2010 Pitchfork Music Festival and his song "Feel it All Around" is featured in the opening sequence of the TV series Portlandia.